Pregnancy creates many physiological changes over a short period of time that can affect you during and after giving birth. Due to the body's need to accommodate the growth of the developing fetus the abdominal wall stretches causing increased strain on the low back and lower extremity joints. 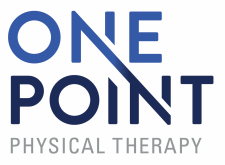 At OnePoint we work with each individual to develop a treatment plan to manage these changes. Due to hormonal and structural changes it is common to have associated pain and physical therapy is a safe intervention to help with this. We are trained to recognize which activities are appropriate in each trimester and when they can be implemented postpartum. We will work with you to identify your specific needs, working through your pregnancy and after if needed. We will collaborate with you to set realistic goals and help you manage your symptoms as they arise.